If you would like to work with one of our conservation project partners for your conservation project, please read the different opportunities provided by each partner below. Audubon Canyon Ranch is a 501(c)(3) not-for-profit environmental conservation and education organization. It was founded in 1962 to safeguard Bolinas Lagoon from irresponsible development, leading the way for the protection of Tomales Bay. Today, Audubon Canyon Ranch acts as guardian of a system of nature preserves spanning 26 properties in Marin, Sonoma and Lake counties. Learn more about Audubon Canyon Ranch here. Documenting the recovery of the land devastated by the late 2017 wildfires in Sonoma County. Turtle Island Restoration Network mobilizes people to restore oceans, preserve rivers and streams, and protect the marine wildlife that call these blue-green waters home. 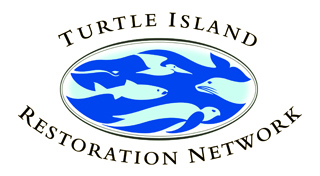 Learn more about Turtle Island Restoration Network here. 10,000 Redwoods Project aims to plant 10,000 redwood trees in the San Francisco bay area to help fight climate change and to stabilize salmon habitat. At any point during the year there is a need for planting, watering, feeding, clearing and other tasks associated with reaching this goal. Your conservation project depending on the time of year can involve a variety of ways to participate. 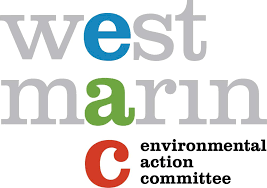 EAC's mission is to protect and sustain the unique lands, waters and biodiversity of West Marin through outreach, education and engagement. Learn more about EAC here. Marin Marine Protected Area (MPA) Watch - Perform a coastal survey to document how are Marine Protected Areas are being used by the public. Litter Bugs Me - A yearly roadside clean up program to help keep trash out of our precious waterways. In 2016, 1,600 pounds of trash were removed from our local communities. Coastal Clean Up Day - A yearly program to fight ocean trash along Tomales Bay. Project Coyote, a national non-profit organization based in Northern California, is a North American coalition of scientists, educators, ranchers and citizen leaders promoting compassionate conservation and coexistence between people and wildlife through education, science and advocacy. We work to change laws and policies to protect native carnivores from abuse and mismanagement, advocating coexistence instead of killing. We seek to change negative attitudes toward coyotes, wolves and other misunderstood predators by replacing ignorance and fear with understanding, respect and appreciation. Learn more about Project Coyote here. Reforming Predator Management through letter writing and/or speaking at hearings on a variety of conservation issues. Coyote Friendly Community Program which promotes compassionate coexistance between people, coyotes and pets in urban areas through the development of signs, brochures, fact sheets and door hangers for public use and education. Ranching With Wildlife Program has groups visit local ranches and farms to learn how they operate with local wildlife and the tools they use to reduce conflicts between wildlife and livestock. If you would like to have a standing conservation project available for kids to consider or want to become a financial partner, please fill out the form below and one of our team members will get back to you.